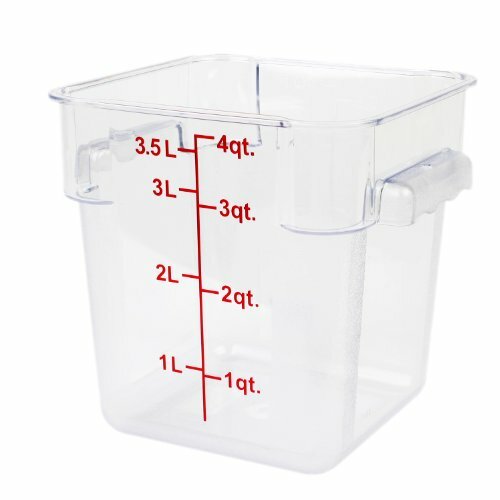 Excellante 4-quart polycarbonate square food storage container (clear). This polycarbonate food storage container is a great way to keep your food fresh. It is shattered resistant, easy to clean and dishwasher safe. It also has measurements on the outside for reference. Lids are sold separately. If you have any questions about this product by Excellant, contact us by completing and submitting the form below. If you are looking for a specif part number, please include it with your message.